← CAR-POCALYPSE! Bike-Part Vending Machine Has Arrived! The CarFree movement is gaining momentum and already helping everyone. The MBTA has a lot of problems and is far from the best mass transit system out there but it is all we’ve got and gets millions of us from point “a” to point “b” on a regular basis. This recent surge in ridership can only help everyone. Hopefully enough people ride the MBTA to provided money and motivation for continued improvements. General Manager Davey already credits many of the improvements made over the last year in part for the increase. Hopefully this is a sign that the MBTA finally realizes that it has a responsibility for continued improvement in service of the public. 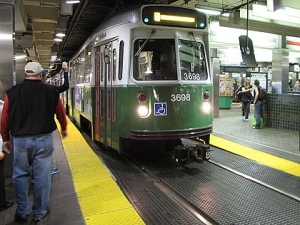 MBTA reports a 5 percent surge in ridership – The Boston Globe.